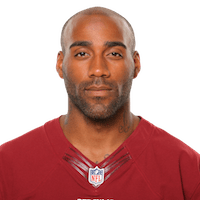 Published: Aug. 19, 2016 at 08:23 p.m.
Washington Redskins safety DeAngelo Hall recovers New York Jets tight end Kellen Davis' fumble. Published: Dec. 26, 2015 at 10:59 p.m. Published: Sept. 21, 2014 at 01:53 p.m.
Philadelphia Eagles running back Darren Sproles fumbles and Washington Redskins cornerback DeAngelo Hall recovers for 17 yards. Published: Dec. 23, 2013 at 05:08 a.m.
(7:02) T.Romo pass short left intended for D.Bryant INTERCEPTED by D.Hall at WAS 47. D.Hall to DAL 47 for 6 yards (T.Clutts; D.Bryant).